With the new year here, I'm going to make the next few months all about organization. 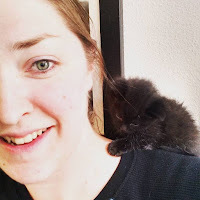 Now that we've been in our home officially one year, we are nearly unpacked (I know, its been a year) and I've come to realize that I don't have enough storage for all the things I've brought over from the old house. So, to help me with this long transition, I'm going to be posting about storage and organization. I'e already shared the new shelves in our bathroom, but here is another way to organize your home in a very easy and classy way. 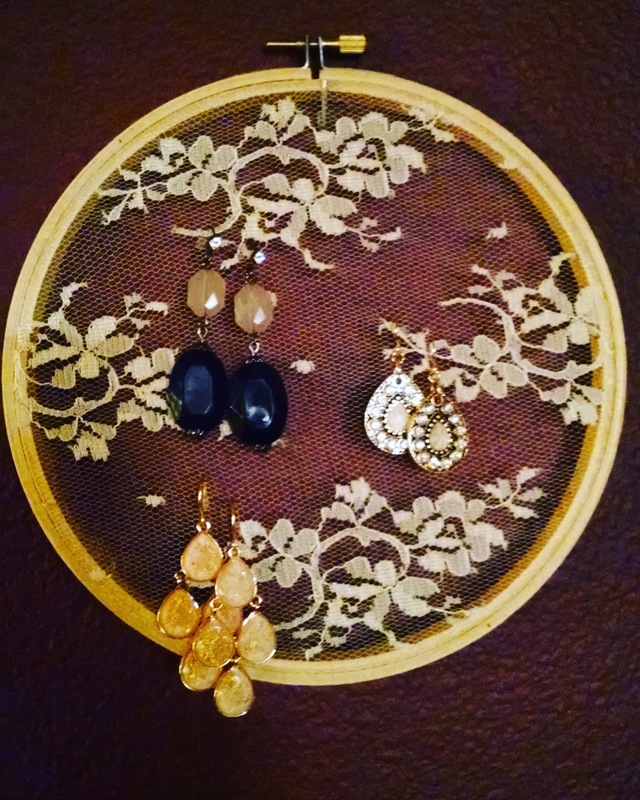 How about an awesome way to display and store your earings? 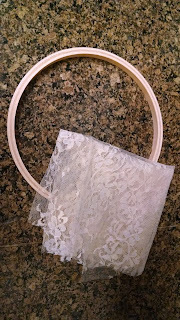 This lace covered hoop took me just a few minutes to put together and the cost was under $5.00. The hoop was $1.99 at my local fabric store and the lace was $2.26 and I got way more than I will ever use. It looks great and is super easy. Try it yourself and share some photos of what you came up with. I would love to see them.